Eight-year-old Harry Comber from Trowbridge has learned to ride a bike in order to take on a fundraising challenge. 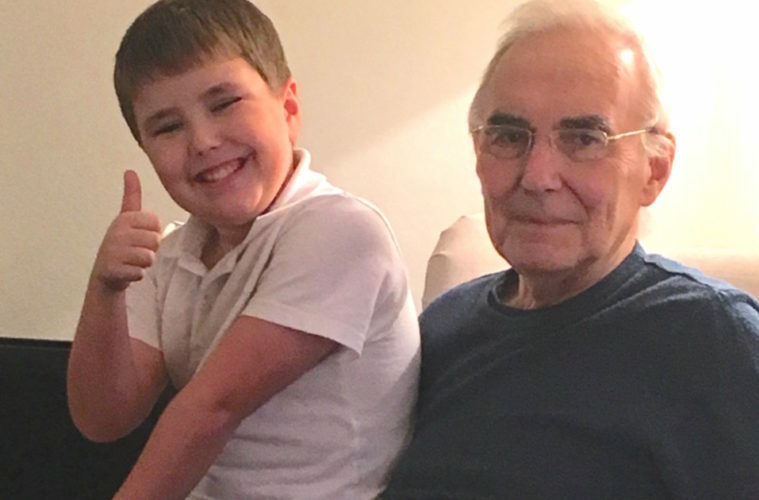 Harry, who attends St George’s Primary School in Semington, wanted to do something to say thank you to the staff at Bristol Heart Institute (BHI) for taking care of his grandpa after he was treated for a heart attack. So he decided to take on a sponsored cycle to raise money for Above & Beyond, the official charity for Bristol city centre hospitals. However, to achieve this feat he had to learn to ride a bike first. 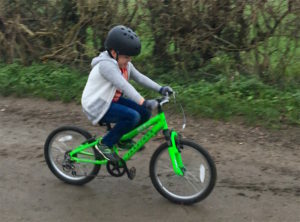 After much frustration, Harry took his first proper ride on Christmas Day last year and now plans to cycle as much of the 17.5 mile Camel Trail as he can – joined by his brother, Charlie, mum Alex, and dad James. Harry’s grandpa, Richard McIlvenna, was taken to hospital last year after having a number of silent heart attacks. After three weeks he was transferred to the BHI for what was expected to be a routine triple heart bypass; however, after severe complications and a quintuple heart bypass, the family were told Richard would not survive the hour. Harry’s dad, Alex, said, “My dad was previously very fit, healthy and active so his illness came as quite a shock. “I am so proud of Harry for taking it upon himself to organise this cycle challenge to raise money for the cardiac intensive care unit (CICU). Harry is taking on the challenge on 9 April. To donate go to: https://www.justgiving.com/fundraising/harryshappyhearts. For more information on Above & Beyond, visit the website: www.aboveandbeyond.org.uk.